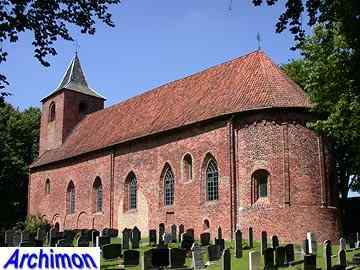 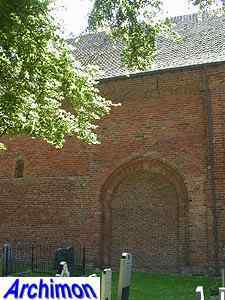 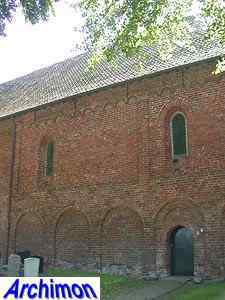 The church of Westergeest was founded in c. 1150 by the Abbey of Dokkum and was modeled after the church of that abbey. 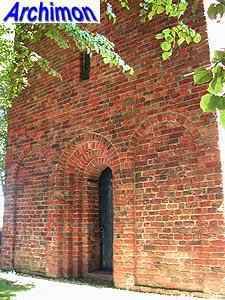 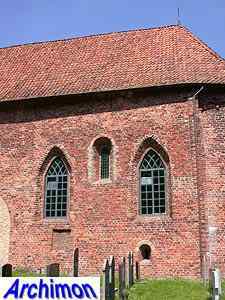 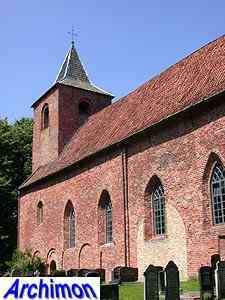 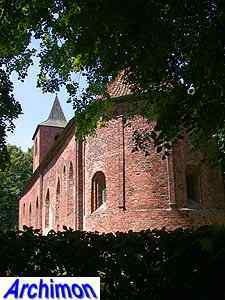 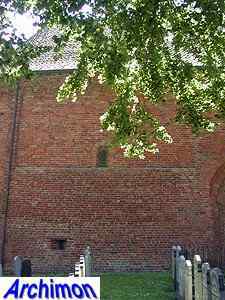 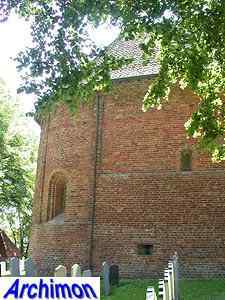 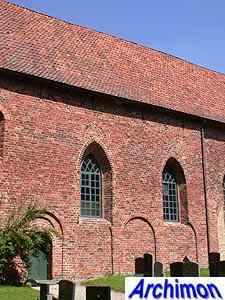 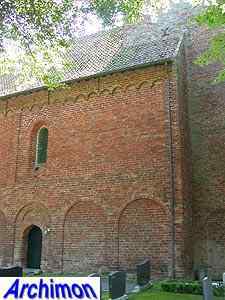 This original tuff church was already replaced by the current brick one in c. 1200, a one-aisled building in Romanesque style. 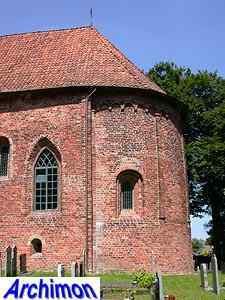 The lower parts of nave and tower are decorated with tall niches which start from the ground. 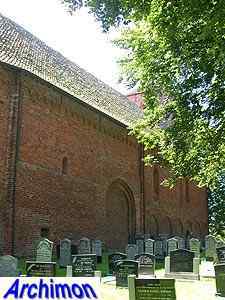 The Romanesque nature of the nave is most clear on the north side, where the upper parts of the walls are decorated with friezes. 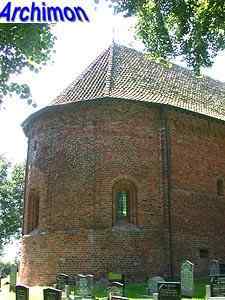 The choir consists of a square part and a semi-circular apse, which is slightly narrower than the nave and is decorated with Romanesque shapes as well. 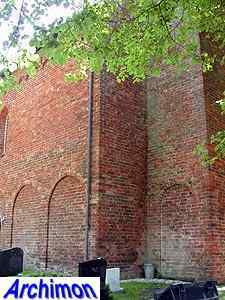 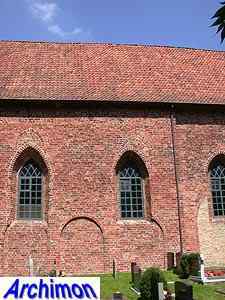 Bricked-in arches on the border between nave and choir show that the church had once a cruciform ground-plan and had chapels on either side. 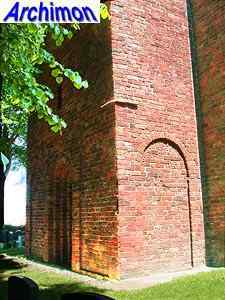 These were demolished in the 16th century. 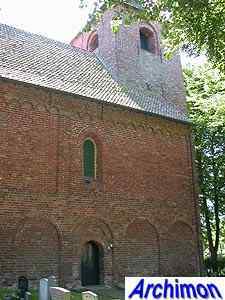 Old pictures show a tall tower with a saddle-roof. 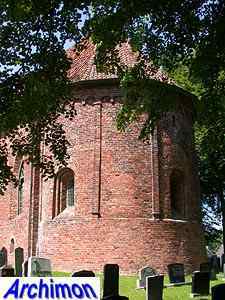 In 1807 the upper c. 8 meters were removed and replaced by the current spire. 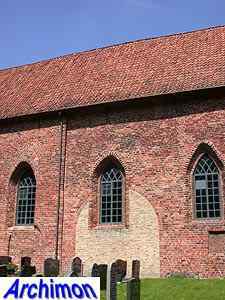 In 1830 large pointed windows were added to the nave. 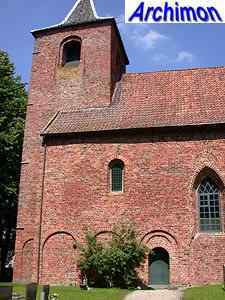 In 1957 the church was restored in Romanesque style, but maintaining the large windows and the shortened tower.